Nestled in the heart of Downtown Washington, D.C., is Thomas Circle, a traffic circle and central park at the intersection of Massachusetts Avenue NW, Vermont Avenue NW, 14th Street NW and M Street NW. Much like the other nearby traffic circles D.C. is known for, Thomas Circle is surrounded by historic churches, parks, hotels and restaurants and bars that appeal to residents who live a short walk away in Thomas Circle apartments and commuters who work in the area. 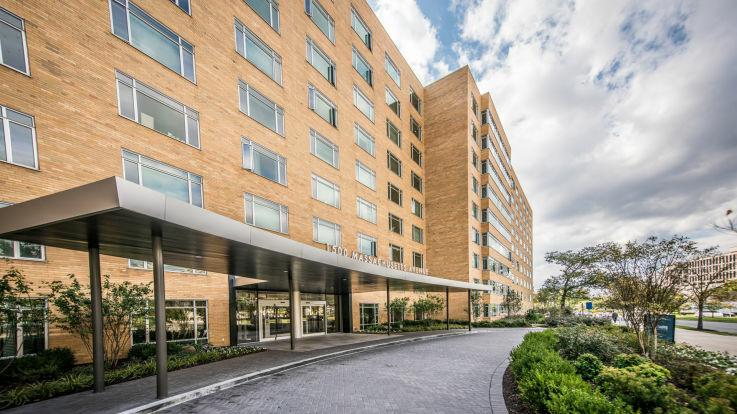 Thomas Circle apartments are close to all the convenience that goes with living in Downtown D.C., and being just 1 mile from the National Mall, it’s also within walking distance to the sights and landmarks that make Washington, D.C., such a spectacular place to visit, live and work. 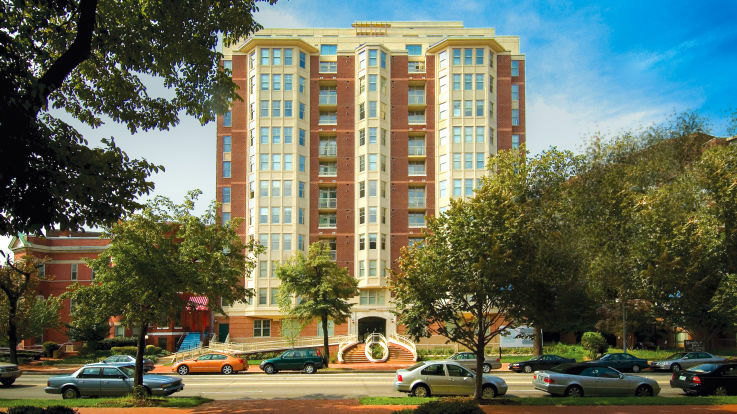 Live just a 10-minute walk from the White House, 8 minutes from the hip Logan Circle Historic District and just 15 minutes from the highly desirable Dupont Circle. Walk 5 minutes to pick up groceries at Whole Foods, grab dinner just one block away at The Pig, then cross the street for after-dinner drinks at Birch & Barley. It really doesn’t get much more convenient than that! Nearby transit stops just outside the front doors of many Thomas Circle apartments makes it easy to get to other D.C. neighborhoods for work and entertainment. Several buses include Thomas Circle as part of their daily routes, and the McPherson Square Metro Station’s blue, orange and silver line stops are just three blocks directly south of the circle. Nearby red line stops and major area thoroughfares and highways add to the area’s commuter-friendly amenities. And, at just 1.5 miles to Adams Morgan, a 20-minute Metro ride to Capitol Hill and a 20-minute drive to Arlington, there are plenty of ways to enjoy the Capital City on foot, by subway or in the car.